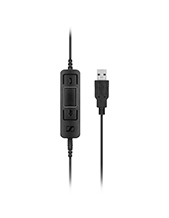 Plantronics Blackwire C720-SFB/Lync Foldable Stereo USB Headset, Bluetooth, Sensor Tech, & Case is an all-in-one package that delivers audio reliability and incredible wireless flexibility. This versatile Unified Communication headset takes pride in providing users with seamless Bluetooth connectivity, which is what people need in order to have the freedom to move around the workspace while making sure to be connected to tablets and mobile phones with ease. 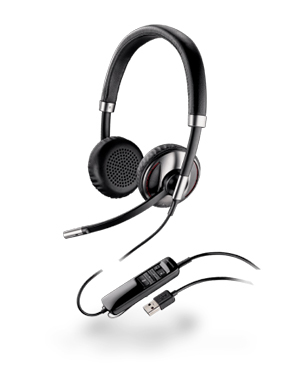 Plantronics Blackwire C720-SFB/Lync Foldable Stereo USB Headset allows users to automatically answer calls once they put on the headset. This is made possible through the integration of the smart sensor technology in the device. And since the headset is connected to other devices like PCs and mobile devices, calls from both of these devices can be answered by using a single headset through dual connectivity. Purchase this headset today by calling Headsetsonline hotline at Australia wide 1300 131 133. Talk to our company rep for more details. Established in 1961, Plantronics is a consumer electronics enterprise that has its headquarters located in Santa Cruz, California, headed by its very own CEO and President Joe Burton. It has its production and manufacturing floors located in China and Mexico. These are the branches of the company responsible for the creation of the audio products, solutions, and systems that the company has thought of developing. Plantronics was incorporated in August of 1988. Throughout decades of operations, it has become one of the best designers, manufacturers, and marketers of communications headsets and solutions in the international market. More than just the offer of regular products and solutions, the company also provides specialty products in the form of hearing-impaired headsets and the like. Plantronics is popular for products and solutions that specialise in music, gaming, mobile usage, and unified communications. And the company has integrated this expertise in all of its offers. 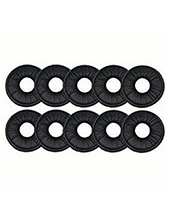 Headsetsonline offers its products and services through its online store. The online store can be found through its secured and enterprise-encrypted site, Headsetsonline.com.au. This site makes use of the same security measures that banks use for the online banking operations, which come in the form of the 256-bit root encryption and 256-bit identity authentication. 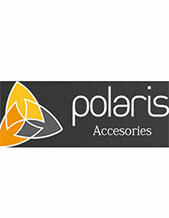 This Australian online store Headsetsonline Pty Ltd is a major supplier and wholesaler of audio and sound products and solutions in the country. It started out as a part of a popular company providing the similar offers as the store in 1998 and after that has operated independently. It has used years of experience and knowledge gathering in order to effectively provide the Australian market with the most ideal products and solutions to deliver customers’ needs. Plantronics gets its entire product and solution offers from Australian distributors and avoid grey imports as much as it can in order to control the quality of its product portfolio.